Creative young people are the most likely group to start up a business straight from education. They are often natural entrepreneurs: creative, innovative and visionary with immediately transferrable skills that lend themselves to self-employment. Student Makers Markets supply young makers with an outlet to test their business, the support and training to help them succeed, a chance to get some valuable feedback from real, live customers, plus the opportunity to make new friends and have some much needed fun with business. Not just for students! Any young person is welcome to come along and take part. We have graduates, school students and college students, we have young people who are unemployed, suffering from long term and mental health problems. We have also had makers who are also archaeologists, historians, welders and coders! The market is a very friendly environment (see the video’s! ), as long as the products on the stall are hand made by the maker then they are welcome to come and take part. 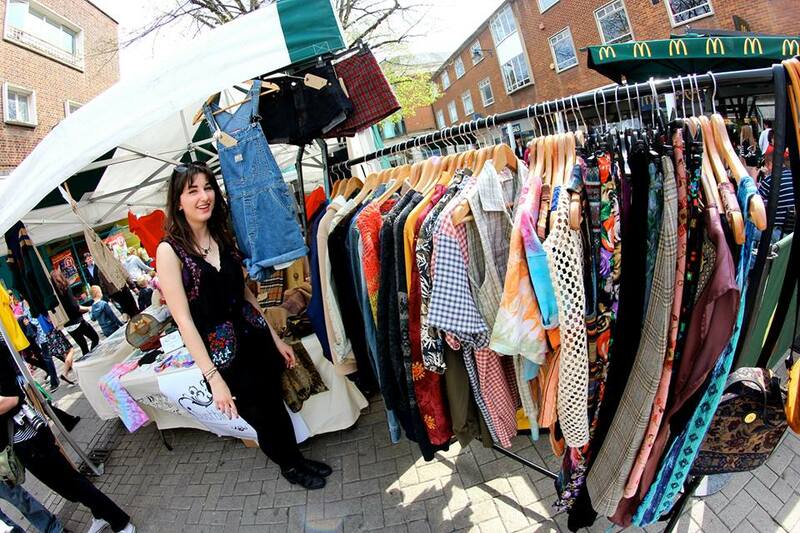 This fantastic mix of young people from all fields and backgrounds means that alongside the street based business and creative training, the market also offers access to a wide network of fellow creatives as well as connections to galleries, businesses and creative organisations across the area. Over 400 young people have taken part in markets and training since the first market in December 2012. Our evaluations report many developments and opportunities for those involved including: developing new ranges, opening on-line shops, being stocked in local shops, gaining commissions, jobs, collaborations and exhibitions. 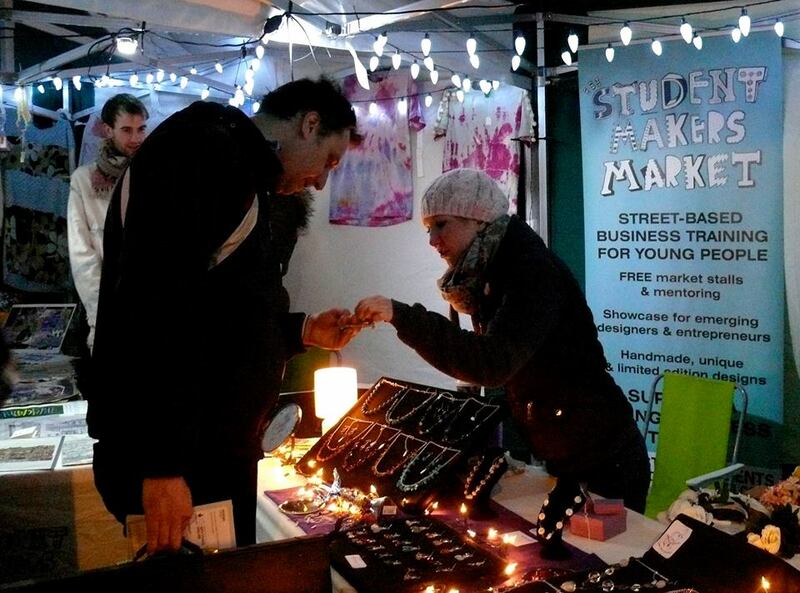 We are currently fund raising for this years markets, we also have a new Student Makers Market selling website under construction and have plans for some Meet Ups.